Sold by GLS Audio, Inc. and ships from Amazon Fulfillment. Sold by Eggsnow and ships from Amazon Fulfillment. Ideal for use with compact digital cameras. Desirable for long-distance sound pickup. Excellent sound rejection from the sides and rear of mic & tailored response. Operates on phantom power only; 11-52V DC, 2 mA typical. 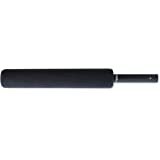 For a smooth, natural sound and rejection from the sides and rear of mic. I use this primarily for a V.O. 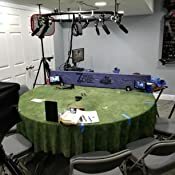 microphone, some as a boom mic, and occasionally for recording foley. The AT875R has a great response, giving a clean, rich tone to the audio and doing a decent job of off-axis rejection. It is a line-and-gradient pick up pattern, as opposed to a lobar, meaning it doesn't completely reject off-axis sound but rather has a varying frequency response to make the off-axis sound that does get picked up sound more natural. For the price, it does an amazing job of that. This isn't going to replace the Sennheiser HKM416 as the industry standard, but it is one of the best you can get for under $300. 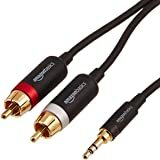 The biggest issue I have had is that when I'm not careful with monitor volume, it will pick up the sound from my headphones while I monitor my recording (for V.O. work), but that has more to do with my headphones not being fully closed-back than anything wrong with the mic. 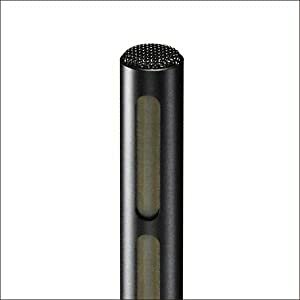 Overall, I would highly recommend this microphone to anyone looking for a quality shotgun mic without the budget for a Sennheiser or DPA. 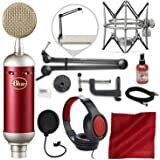 It is good enough for most professional work, and the low cost will help you save for one of the industry standard mics down the road. 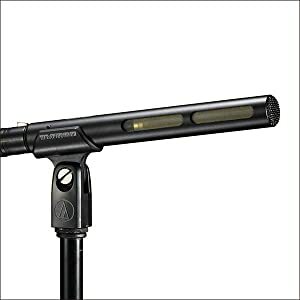 This is my first "true" shotgun microphone. 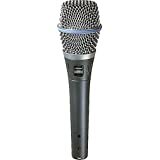 For those of you that may be wondering if there is really a difference between this mic and some of the less expensive alternatives (Vidpro, Boya, Neewer), there is a DRAMATIC difference. This is not to say that you cannot shoot good video/decent audio with the less expensive alternatives - you can. 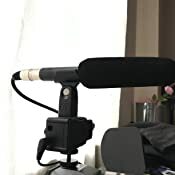 For me - I discovered that my interviews and talking head videos did not have that rich vocal sound, and I had to do a lot of post processing to remove hiss & noise. This mic SOLVED that. This is the mic for frugal filmmakers & videographers who were stuck in the world of sub $100 microphones, and are looking to level up. 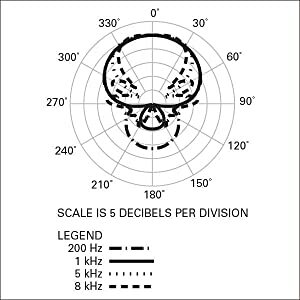 Caution - this mic is NOT an alternative to the infamous Sennheiser MKH 416 although many people are attempted to compare - the 416 is in a class all by itself. 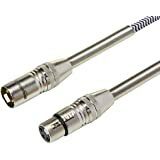 This microphone is a short XLR with no extras - no low cut or db boost, no normal/tele mode. The mic is also not battery operated so you will need a good preamp to provide phantom power - either through a field recorder such as a zoom, or what I chose, a Saramonic PAX1 preamp connected directly to my primary camera. This is a recommend. 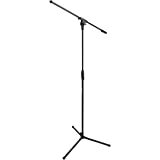 Know what you are getting into though - you will need more "supporting" equipment around this mic - preamps, XLR cables, a good shock mount. I now have two of these and they deliver superb results. I use my AT875Rs with the Canon C100 cinema camera and the Zoom H4N PRO Digital Multitrack Recorder - 2016 Version field audio recorder. 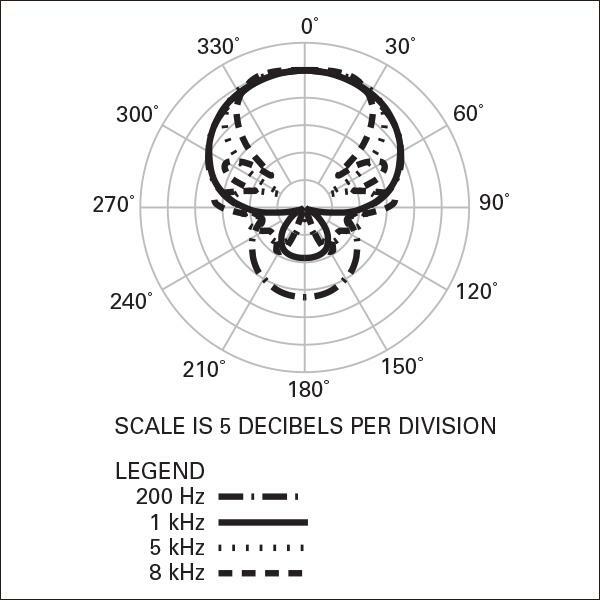 I haven't tested these specifically for self-noise but I haven't been able to hear anything in my recordings. 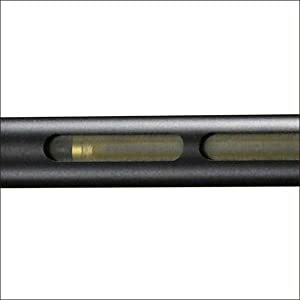 This mic provides plenty of output level, which further serves to reduce noise. 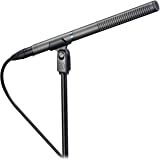 I also like this mic for its versatility; it works great indoors (unlike a lot of shotgun mics) and its pickup pattern is a little wider than longer shotguns, which IMO makes the AT875R easier to use than the longer mics (you don't need to aim this mic so perfectly). Outdoors, I use the Micover Slipover Windscreen for RODE VideoMic VM over the provided foam windscreen to suppress wind noise and the combination works superbly. 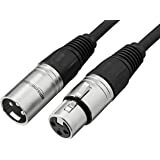 DSLR users should take note: the AT875R has an XLR connector and requires phantom power, so you'll need a preamp / adapter like an IK Multimedia iRig Pre microphone preamp for smartphones and tablets or Saramonic SmartRig Audio Adapter for Smartphones (Black) to get the right signal and the right connector into your DSLR's external audio input. 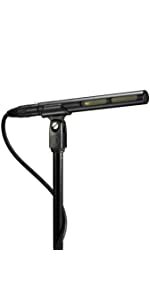 Wonderful warm sound, I am extremely pleased with this mic. I'm using it through a Zoom H4N via an XLR cable. 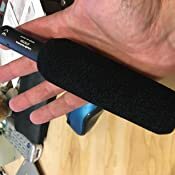 I was looking for an inexpensive audio option and after trying two VidPro mics, the second one more tiny and ice cold than the first, I went with this. Honestly... 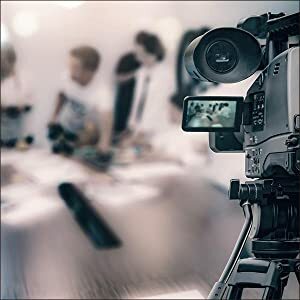 I used the VidPro's when recording an audition and a short scene for a short film, both times I went with my Canon 60D's internal mic's audio instead... it sounded so much better. 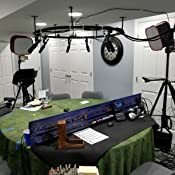 I returned both VidPros to Amazon.com (GREAT return policy!) I then did a lot more research, read the reviews and went for this Audio Technica 875R. This mic is radically better than my built in camera's mic, it has a soothing warm clean tone, just beautiful sounding professional audio. It does an amazing job of reducing background noise and produces fantastic dialog audio for your films. VERY highly recommended! 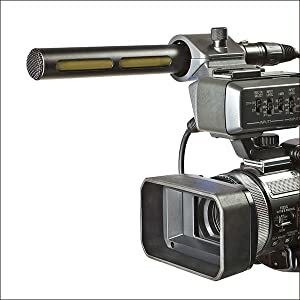 Do keep in mind that this mic does not accept a battery, you will need Phantom Power for it to work, 24 bit recorders such as the Zoom H4N have Phantom power built in. This is not the mic for you to plug directly into your DSLR. There is really nothing I can say that many audiophiles did not already say better. 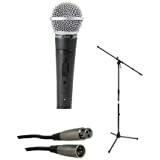 I love this microphone and it is an amazing tool in my audio arsenal for video production. It was hard to pull the trigger on this, but I did and I have not looked back. Beautiful and light weight. 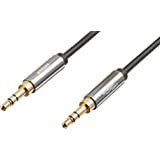 Again I'm not the huge audiophile that can tell you all of the finite details, but my real world experience with it has made me a believer in the consideration of buying a second one. 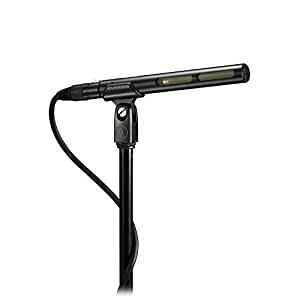 I own some AT 2020s and this XLR shotgun mic compliments my audio lineup beautifully.